I'm a beauty junkie; I like to try new products, find new ways to apply makeup and discover products that make my morning makeup routine easier. I try lots of different things, but I have to say the makeup product that I have tried the most over the years is foundation. I've suffered from super oily skin my entire life and have struggled to find a foundation that doesn't make me look like I just finished a super sweaty workout session. Thank goodness I finally realized that the real secret to flawless makeup starts with great skin care - but that's a subject for a different day (although if you want amazing skin from great skin care, send me a message at lindsay@pursuitofpink.com). Over the years, I've tried so many brands: Clinique, CoverGirl, Maybelline, Revlon, Mary Kay, MakeUp Forever, Bare Escentuals, everything. I've also tried a variety of foundations: liquid, powder, creamy, loose powder, minerals. And I finally found a foundation that I LOVE. 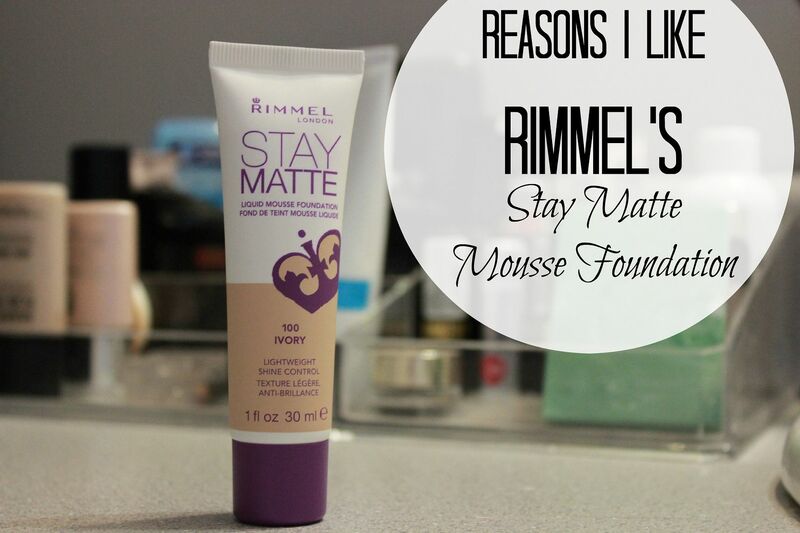 Rimmel's Stay Matte Mousse Foundation has just taken first place in my competition to find the best foundation. -It's a mousse, so it doesn't feel thick and heavy at all. -I get some great coverage without feeling like my makeup is going to cake off. -When the bottle says stay matte, they mean it!!! I wore this makeup on Sunday which is my busiest day of the week. My makeup goes on around 6:30 a.m. and doesn't come off until bed time. On Sundays, I'm picking up babies, negotiating with 3-6 year olds, smiling, chatting, singing, dancing, playing, cooking, driving and so much more. And by the end of the day my makeup still looked great. I didn't look in the mirror and think "man, I need to blot." -There are so many colors so you can match your skin tone. -A little goes a long way, so I know that this bottle will last and I will definitely get more than my money's worth. -The price: at $5 I don't really need another reason to love it!!! The price and the fact that it stays on so well makes this product sound like winner! Oh wow...that's a good price. Currently I am using Loreal true match. I'm a Rimmel Girl through and through, I love all of their products, foundation, powder, mascara, lipstick, and it's affordable which I love even more! Thank you for introducing this new product to me! Can't wait to test it out!! This is the foundation I use and I'm loving it.